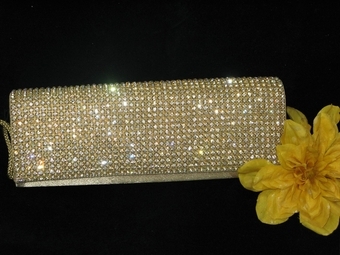 Sophisticated Gold Crystal Clutch Purse - SALE!!! HOME / WEDDING ACCESSORIES / Crystal Evening Purses / Sophisticated Gold Crystal Clutch Purse - SALE!!! 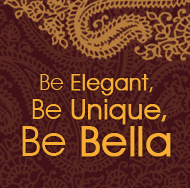 Description: Another Beauty, Amazing sparkle on a Gold Satin Covered Bag. Front of bag is fully covered with dazzling swarovski crystals on silver prong setting, back is light gold satin finished. Measures approx 9" wide x 3" Tall x 1 1/4" deep, strap included.